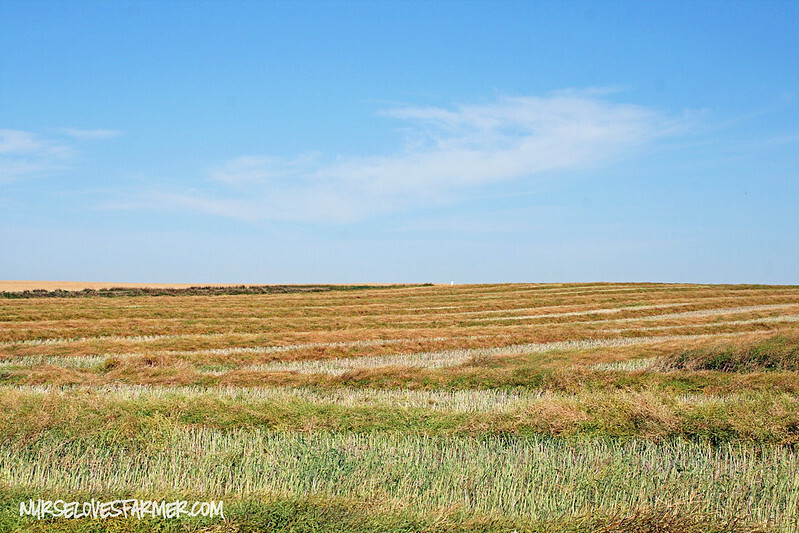 The guys are officially in the fields and have started swathing [see below] which marks the beginning of harvest. I’ve been praying all year that we would have good crop-growing weather and that they would get an early start. They earlier they start (typically), the earlier they are finished. 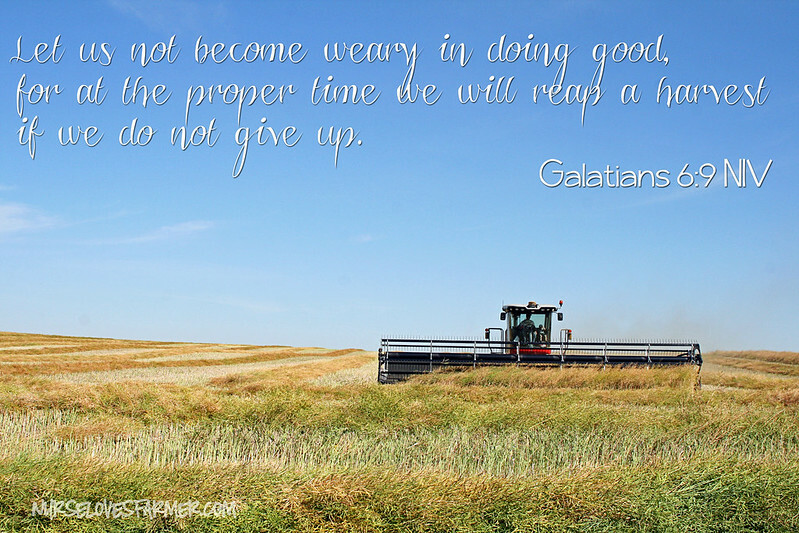 And with a baby due not too long after harvest, the longer I have my husband at home and not during the hustle & bustle of harvest….the better! I’ll be almost done the 3rd trimester by the time harvest is finished so I don’t want to be worrying about baby coming while the guys are still in the field. Anything can happen, but I’m very grateful that they’ve got an early start. Someone (take a guess) is VERY excited for harvest this year and so am I. So far he’s loved going “swaffin’ wif Daddy” and he’s been talking all summer about the combine! 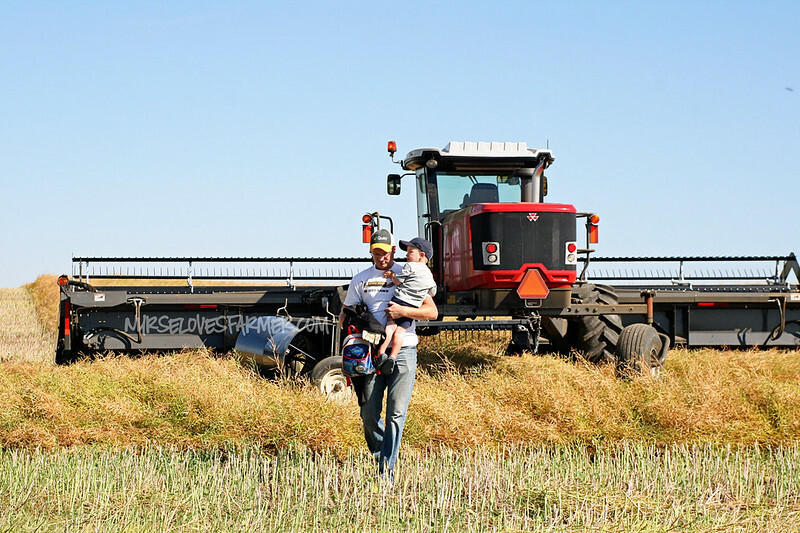 I’m looking forward to enjoying some “me” time when Braden’s busy with Daddy to just do some cleaning or whatever I need to do around home, as I become a “harvest widow” and lose my husband once combining starts. I typically will only see him for meals and if we can help move trucks around when they are switching fields. It’s a life that we love, but it can certainly be stressful relying on the weather for our well-being. Please keep us in your prayers that the weather allows us to bring in a bountiful harvest and that they finish in a timely fashion! So, I decided to start a new series during my harvest posts, because I realize that not that many of you will understand this farming terminology as it sure took me awhile to figure it all out. For a long time I thought you combined the crop and then swathed it. Silly me! Allow me to demonstrate in your first lesson! Hope you enjoyed your first lesson! 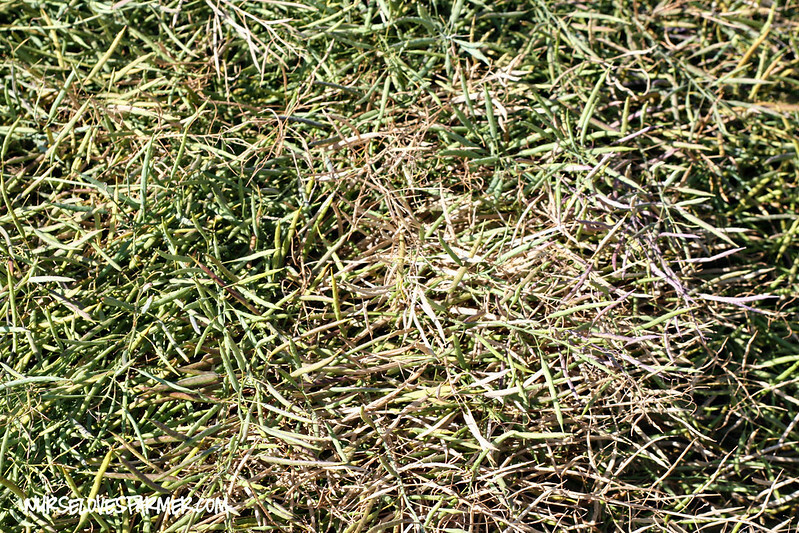 Hehe, I'll try to do a lesson on canola for you! Jay was absolutely fascinated by your onion crops and is wondering how you harvest them!? Canola huh? I'd be interested to hear how exactly you do that! We do hay, wheat, corn, mint, and onions. Onions are for sure the most profitable for us; we make more on the onions alone than all the other crops combined. Thanks so much for the lesson on swathing. I have always wondered what those big huge tractors are for. Do you even call that a tractor??!! As you can tell I know nothing about farming. I hope you have a wonderful harvest season. Looking forward to following along and learning more about farming. Like those huge things that water the fields that look like big long sprinklers. What are those called and how do they work??? 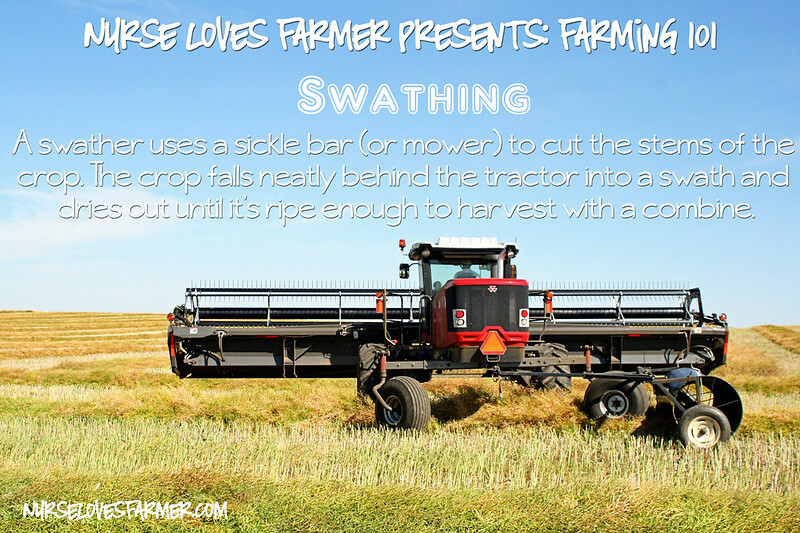 It's a self-propelled swather, technically…but I see it as a tractor with a swather on it! 😉 Trust me, I knew not much until 8 years ago when I met Jay! Those are called irrigators and we don't have them, but lots of neighbors south of us nearer a big water source use them. We just depend on mother nature for moisture! This is awesome. Thanks for starting to teach us all about what your family does! 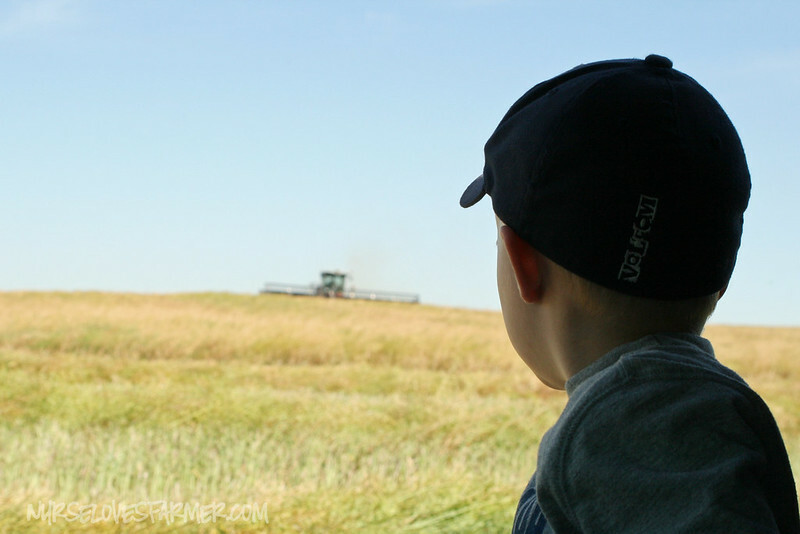 I can't wait to learn more about farming and seeing more pictures around your farm land… beautiful! It makes me jealous, i have a little tiny rectangle of the back yard down here in Texas! Well thanks for the inspiration!! 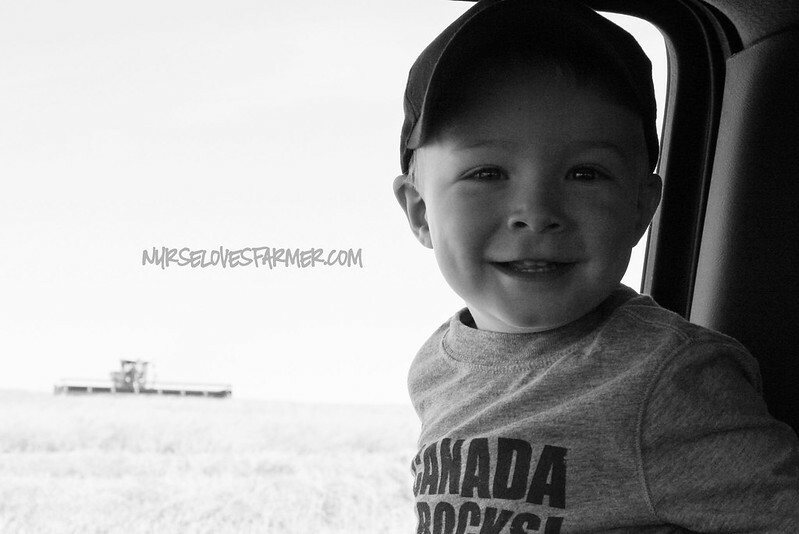 From one farm girl to another, I loved this post! PS I am loving all the changes you are making to your design! Thank you! I'm using the tortoise approach – slow and steady! I love this! I want to come live with you! Thanks! Come for a visit anytime, Braden always needs another girlfriend and Evie is pretty darn cute! wow, i am totally itch'en for more info. Farming on a large scale looks really neat. What do you do with all the canola after its ready for packing (not sure if that is how you explain it). Awesome! Yes, it's pretty large scale farming, we do about 4500 acres. After the canola is harvested it's stored in grain bins and then taken to the grain elevators and they ship it off to various buyers! Thanks! The equipment has gotten markedly bigger even since I've been in the picture! I love the photos! It takes me back to my own childhood. I always loved harvest! The down side was that I had to either help milk cows or cook dinner for the harvest crew! 🙁 Also, I need an education on the equipment because we farmed with stuff that was 2 steps above an ox pulled apparatus! This is an awesome idea! I'm super curious! I hope you have a great harvest and that it goes quickly so your hubby can be home when the baby comes! 🙂 Happy Harvest! Oh thanks so much, Amie! I'm sure all will go well! Hope it goes easily for you guys–and that you get a huge harvest this year!! Thank you for growing our food! Thanks, Kelley!….and my husband says "you're welcome!" Here's to hoping that both of our hubbies are done with harvest by the time our babies come! What all do you guys harvest? Yes!! Happy Harvest to you guys too! We only harvest wheat & canola now, used to do barley but not anymore. A few neighbors do peas, flax, and the odd corn crop too. You guys?